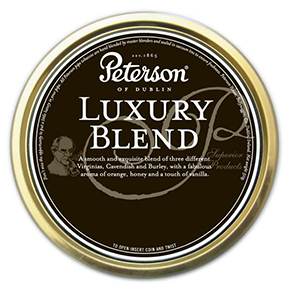 Peterson Luxury Blend is a smooth and exquisite blend of three different Virginias, sweetish Black Cavendish, fragrant Burley and a fabulous aroma of orange and honey, with an added touch of vanilla flavor. 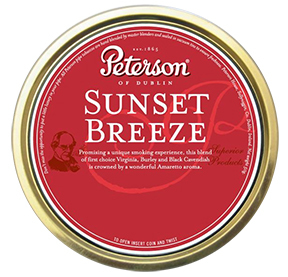 Peterson Sunset Breeze is an excellent mixture of first choice Virginia, Burley, and Black Cavendish. A promise for a unique smoking experience, which is crowned by a wonderful amaretto aroma that also provides enjoyment to those around you.